I remember the glory days of the 1980s, ripping open packs of Garbage Pail Kids (much to my mother’s dismay). My friends and I laughed at the low-brow humor found on both the front and back of the cards, as any self-respecting fourth grader would. I know that Garbage Pail Kids are still around, but they don’t hold the same place in my heart today. Fortunately, I have found a great set to take its place: Cereal Killers by Wax Eye. Combining the parody aspect of Wacky Packages with the gross-out factor of GPK, Cereal Killers is perfect for fans of horror movies or parody trading cards in general. Each card is a mash-up of a horror icon with a breakfast cereal. On the reverse, the cards feature either puzzle pieces or a comic. Three different puzzles can be formed, creating super-sized versions of card #1 (Zomb’a Crunch), #2 (Frosted Freeks), or #25 (Honey-Chrome). Out of the three boxes I opened, I was able to complete only puzzle #1. Speaking of the boxes, how fantastic is the packaging? Each package contains three mini cereal boxes, and each box contains twenty cards, an eyeball gumball, and a special premium: either a blacklight sticker, temporary tattoo, fridge magnet, gold foil card or an original, hand-drawn sketch card. The only complaint I have is the collation of the packs. Each pack contains 20 cards, but as you can see in the chart above, I only got three new cards in the third pack and ended up with 20 duplicates out of 60 cards. I hope Wax Eye is able to improve this ratio in series 2 (and I truly hope there is a series 2). I realize a complete set is not guaranteed in the package, and Wax Eye does provide links to facilitate trading on their website, but twenty duplicates out of sixty total cards still seems a bit much. Other than that, Cereal Killers are fun cards, and I highly recommend them to my horror-loving, card-collecting comrades out there. 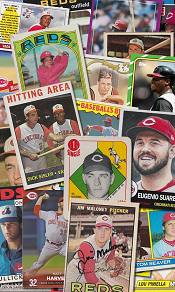 Learn more about Cereal Killers trading cards and the Wax Eye company, and purchase a box or two, at wax-eye.com! Posted on January 10, 2012, in reviews, toys & games, trading cards and tagged Cereal Killers, Wax Eye. Bookmark the permalink. Leave a comment.